When we moved into Grandma and Grandpa Deckert’s house back in March, we knew we would have a bit of work before us to get the home into the kind of place we would want to live. We began slowly to make it our own, a not so easy process as in every change there was a bit of nostalgia, a piece of Grandma and Grandpa that would go with it. We hung onto the living room carpet – circa 1966 – a bit too long though and after pulling it out wished we had removed it and the 47 years of dust and debris and decomposed padding that came up with it. 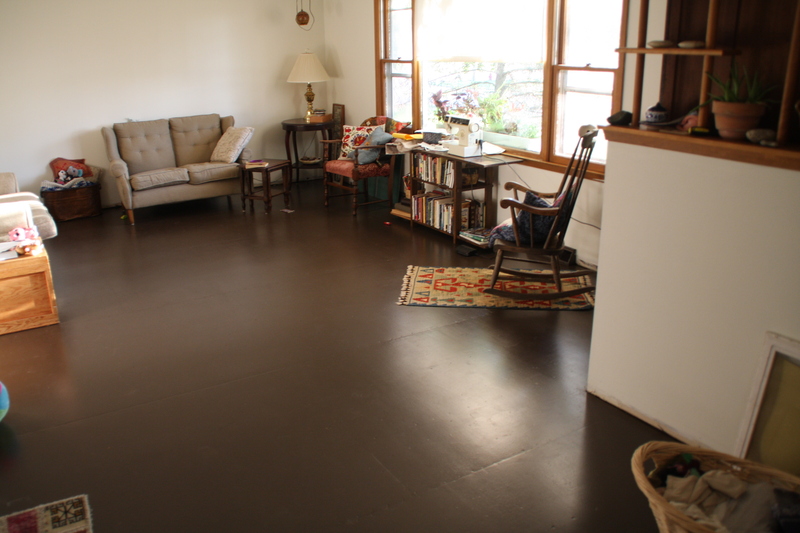 In keeping with Grandma and Grandpa’s spirit of frugality we opted to do something different with our floors that would save us some money and yet allow us to add a bit of our own Bohemian, earthy sensibilities. And so we painted them. 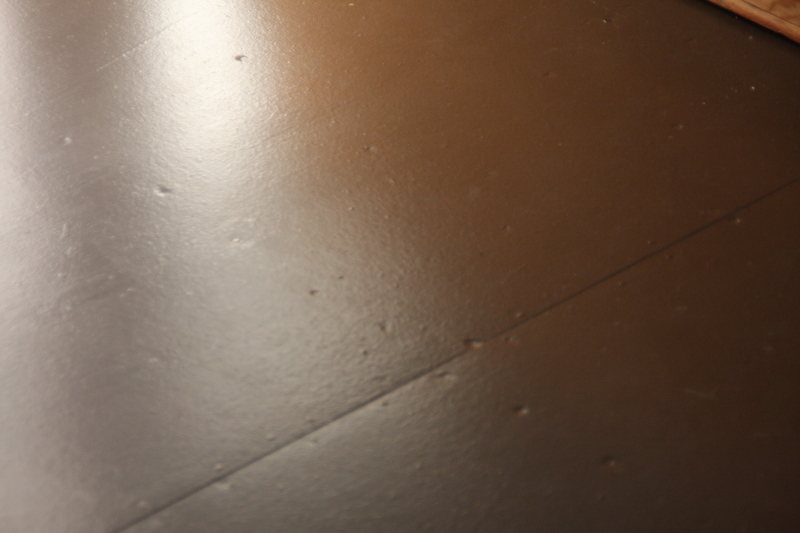 The Living room sub-floor painted a deep brown. 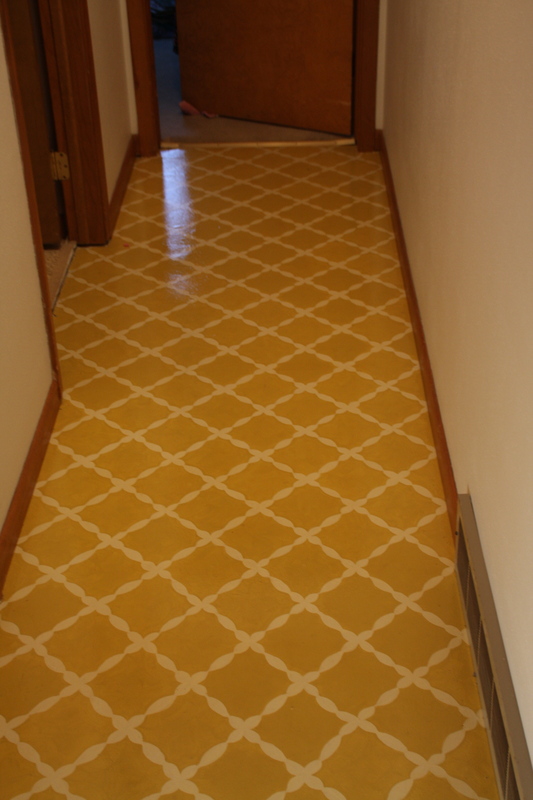 The pattern in the hall. 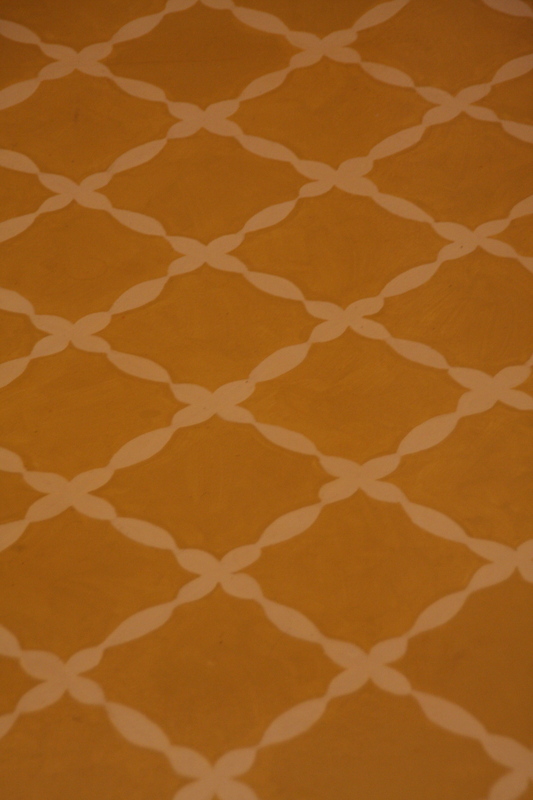 Consuelo used a home-made stencil for this pattern. The living room floor before the Turkish rugs. 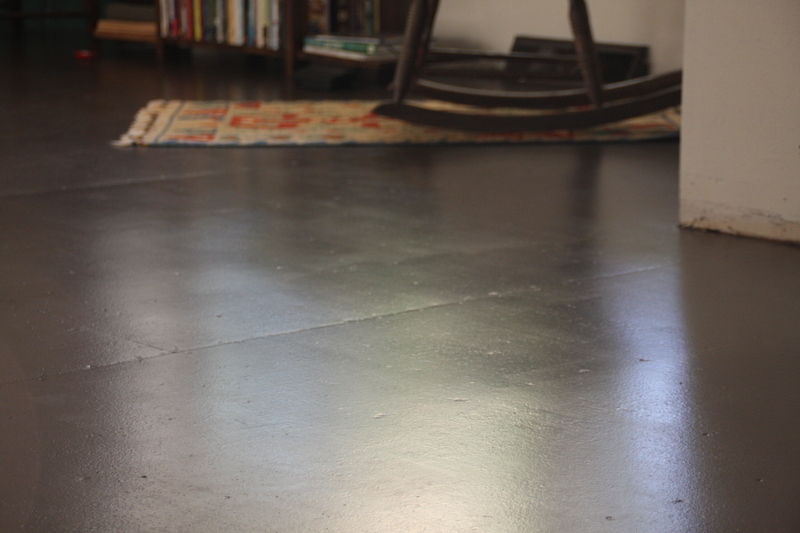 Beautiful sub-floors – who would have thought? The hall turned out fantastic. Several coats of paint followed by three coats of an oil based sealer. The living room will probably need to be redone next summer. We used two coats of brown (should have done three) and decided to forgo the fumes and use a water based sealer (two coats) instead of the more smelly oil based. The oil based is so much harder and thicker. It’s bomb proof. 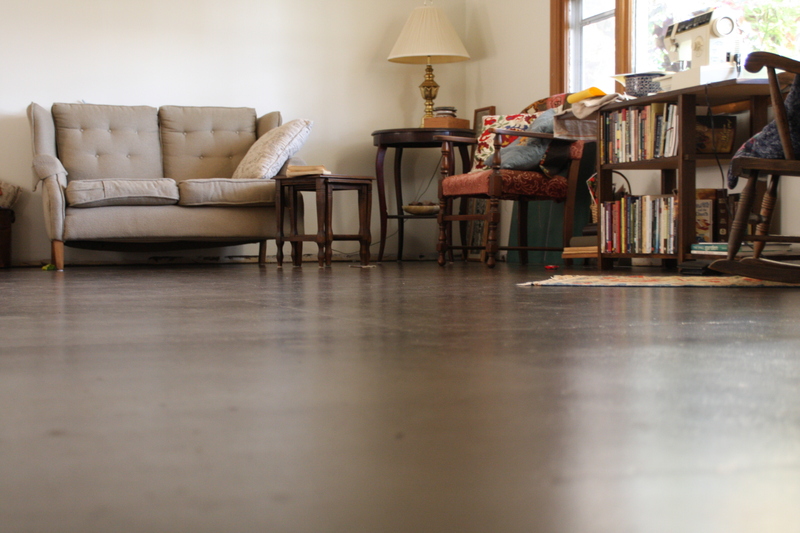 Our living room brown is already beginning to chip in places though – two active kids do little to help that. It’s character I guess and will be an easy fix next summer. Wow, I thought that hall was some kind of vinyl. Very cool.